"The success we’ve seen with Schwab Volunteer Week since its inception is inspiring and underscores the importance of a culture of service at Schwab—not only for our clients but also for our communities"
SAN FRANCISCO--(BUSINESS WIRE)--Thousands of Schwab employees and executives will honor Schwab’s long-standing culture of service by participating in Schwab Volunteer Week, which kicks off today with a week of volunteer projects that help local and national nonprofit organizations. This year’s event marks another record-breaking year for employee participation with nearly 7,000 employees registered for service projects. 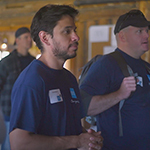 Now in its 15th year, Schwab Volunteer Week began as a single day of service on May 13, 2004 with just over 1,000 employee volunteers serving 37 nonprofits in seven cities across the country. 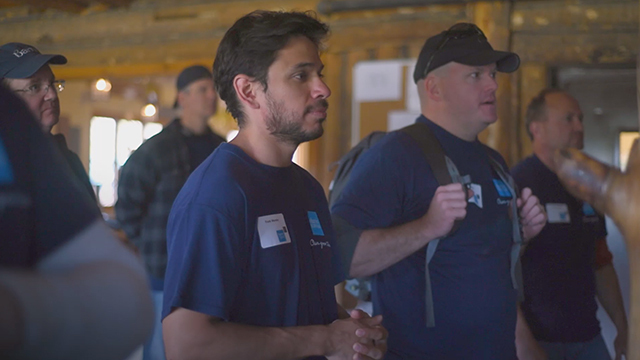 This year, Schwab Volunteer Week engages 6,900 employees in 169 cities and serves 302 nonprofits. Schwab employees will provide 27,000 volunteer hours this year, compared to 4,400 volunteer hours in 2004. A wide variety of human services and economic development organizations, including Dress for Success, Goodwill, Habitat for Humanity, Meals on Wheels, Ronald McDonald House and Society of St. Vincent de Paul. Follow Schwab Volunteer Week on social media at #Schwab4Good and at www.twitter.com/CarrieSchwab, https://www.linkedin.com/in/carrieschwabpomerantz/ and https://www.facebook.com/CarrieSchwabPomerantz1/. See photos from Schwab Volunteer Week 2018 at https://photos.aboutschwab.com/Schwab-Volunteer-Week and learn more about Schwab’s work in the community at https://www.aboutschwab.com/citizenship/community. Charles Schwab Foundation is an independent nonprofit public benefit corporation, funded by The Charles Schwab Corporation and classified by the IRS as a charity under section 501(c)(3) of the Internal Revenue Code. The Foundation is neither a part of Charles Schwab & Co., Inc. (member SIPC) nor its parent company, The Charles Schwab Corporation. Its mission is to educate, volunteer and advocate on behalf of those in need so that everyone has the opportunity to achieve financial well-being. More information is available at https://www.aboutschwab.com/citizenship/community. Through its operating subsidiaries, The Charles Schwab Corporation (NYSE: SCHW) provides a full range of securities brokerage, banking, money management and financial advisory services to individual investors and independent investment advisors. Its broker-dealer subsidiary, Charles Schwab & Co., Inc. (member SIPC, www.sipc.org), and affiliates offer a complete range of investment services and products including an extensive selection of mutual funds; financial planning and investment advice; retirement plan and equity compensation plan services; compliance and trade monitoring solutions; referrals to independent fee-based investment advisors; and custodial, operational and trading support for independent, fee-based investment advisors through Schwab Advisor Services. Its banking subsidiary, Charles Schwab Bank (member FDIC and an Equal Housing Lender), provides banking and lending services and products. Koski Research is not affiliated with the Charles Schwab Corporation or its affiliates. More information is available at www.schwab.com and www.aboutschwab.com.